You may also access your investment portfolio from the mobile app "Darwinex for Investors", available for the Android and iOS operating systems. The mobile app lets you check - for the time being - only one (your first and original) investment portfolio (see below about multiple investment portfolios). Each user can currently create a maximum of 5 real and 1 demo investment portfolios. Investors with live accounts can create additional investment portfolios from the investment subheader or from the Wallet of the the web application. 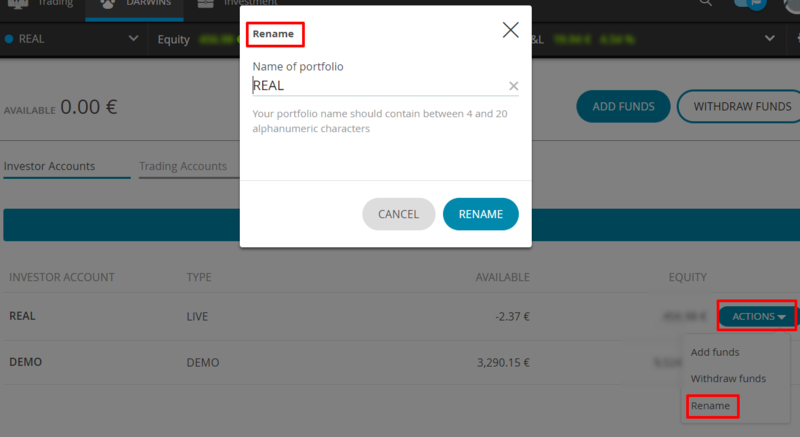 Renaming of the by default live portfolio -which is called just “REAL” – can be also done from the Wallet.